As I’ve written before, I am a big fan of the American Express Bluebird prepaid card program. By purchasing Vanilla Reload cards at CVS stores with my credit card, I have been able to consistently pay all my bills with a credit card, even those that originally required payment by debit card or check. This has been great for large purchases such as my monthly mortgage payment. I’m not the only one who likes the Bluebird program. According to the Washington Post, in the 6 months since Bluebird debuted, more than 575,000 customers have signed up, placing more than $275 million into their accounts. There have been a couple of fantastic changes with the Bluebird account. Bluebird will now be backed by the FDIC! This is fantastic because FDIC (Federal Deposit Insurance Corporation) backing truly makes the Bluebird a genuine checking and debit alternative. 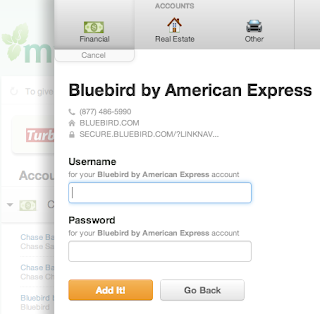 You can now order Bluebird Checks! These Bluebird Checks are not the same as the ones that you would get from your traditional bank or credit union. You must pre-authorize every Bluebird check before you write it. American Express will then deduct the amount from your available balance immediately and give you an 8 digit pre-authorization code to write on the check prior to giving it to a payee. American Express is advertising this feature as a way to protect you and your payee from overdraft fees and insufficient account funds. If your Bluebird Check is not pre-authorized, it will be declined. Bluebird Checks over $2,000 will need to be pre-authorized, which will take 1 to 2 business days. The numbers on the check are not the ones you would use to set up Employer Direct Deposit. See here for that information. 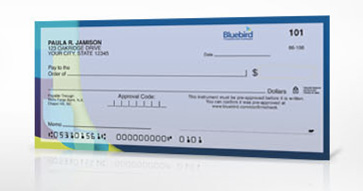 You can currently order your Bluebird Checkbook for free without any fees until 5/21/2013. After that, it will be 50 checks for $19.94 + $5.94 shipping & handling or 100 checks for $26.94 + $6.94 shipping & handling. Order your Bluebird checkbook now, it’s a no brainer. Mint.com now recognizes Bluebird accounts! 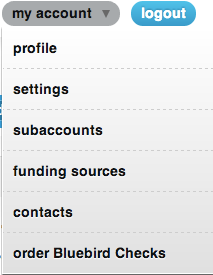 If you are a Mint.com and Bluebird user, you will love this feature. Mint will track your Bluebird transactions smoothly and perfectly. I usually categories Vanilla Reloads as “Transfer” since it’s not income, it’s just transferring money from your credit card directly to your Bluebird account. I will continue to use Bluebird as long as I can load my account with Vanilla Reload cards purchased with my credit card. At a maximum of $5,000 a month load with credit card, I’m looking at a minimum of 60,000 credit card points per year, which is a free roundtrip ticket to Europe. Using other credit cards may be able to give you more bonus points in "drugstore" categories. If you have a store nearby that carries Vanilla Reload cards (and accepts credit card as payment) can quickly rack up thousands of points with little to no out of pocket expenses. Use Bluebird to pay for your mortgage, bills, student loans, friends, everyday credit card transactions, and your credit bill. These new Bluebird changes are awesome.